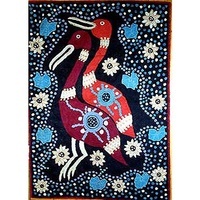 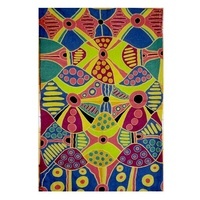 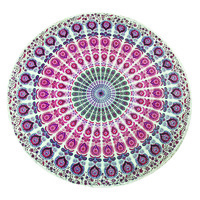 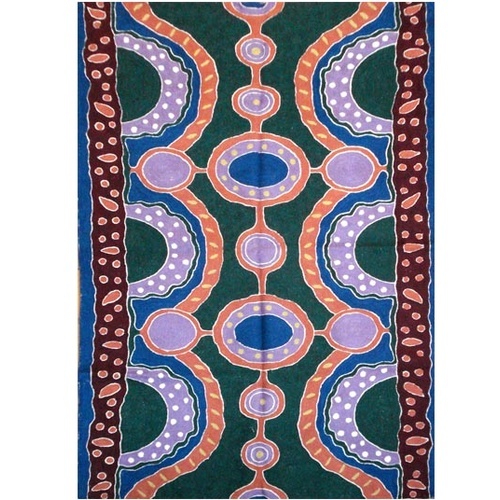 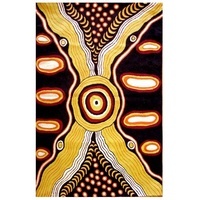 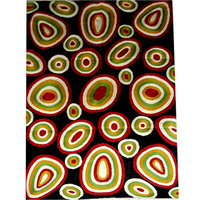 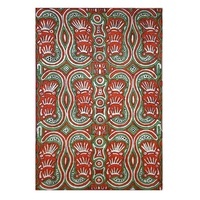 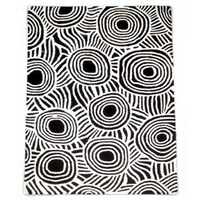 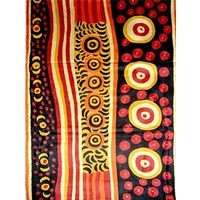 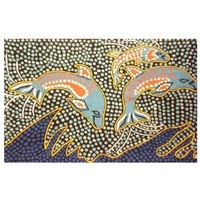 Attractive Handmade chainstitch woolen rug 3 ft x 5 ft depicting "Meeting Places" by Camilia Young Keringke Arts. 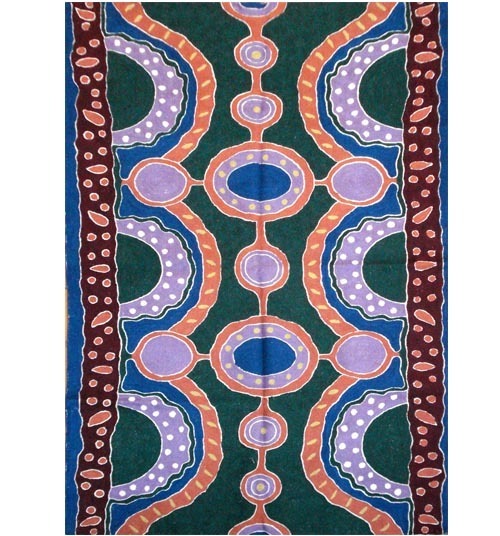 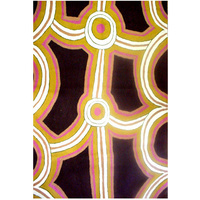 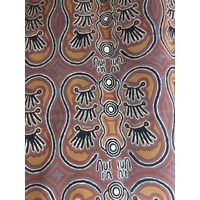 Keringke artists use pattern, colour, shape and design to create paintings that depict their sense of country, culture and self. 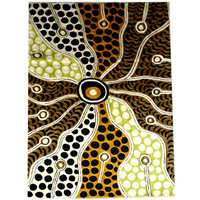 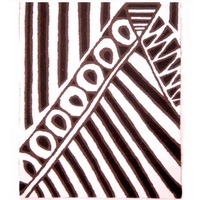 They are highly graphic in nature and descriptive in fine detail, clean lines and intricate designs.